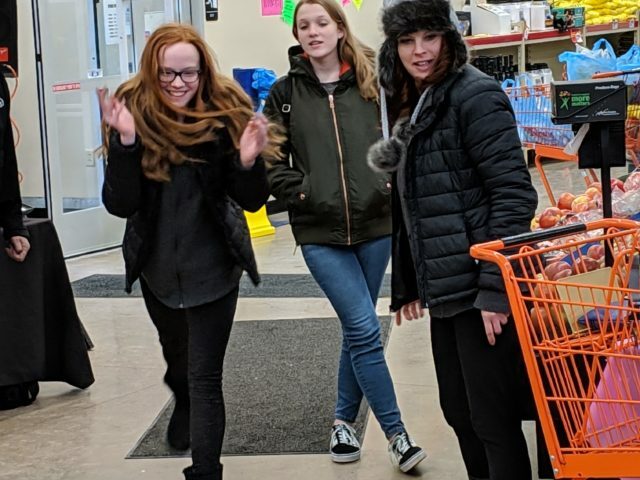 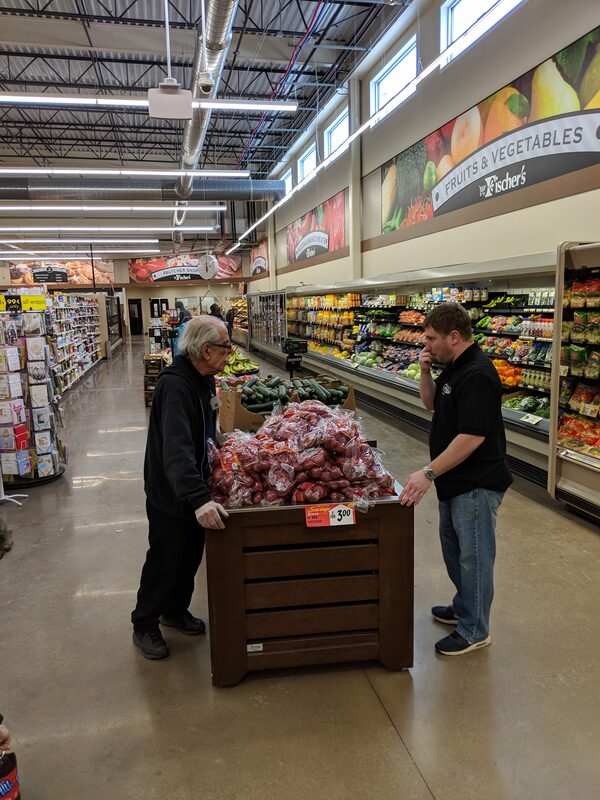 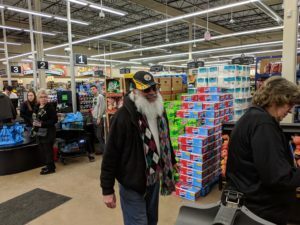 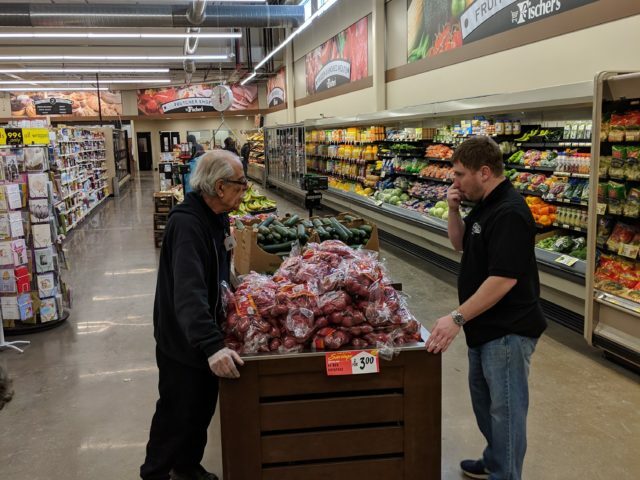 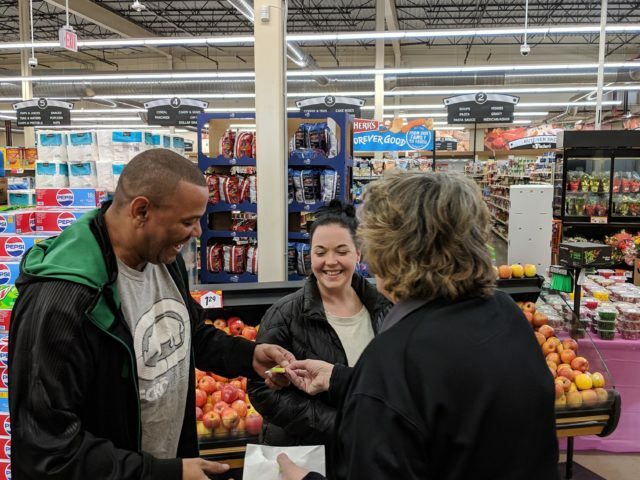 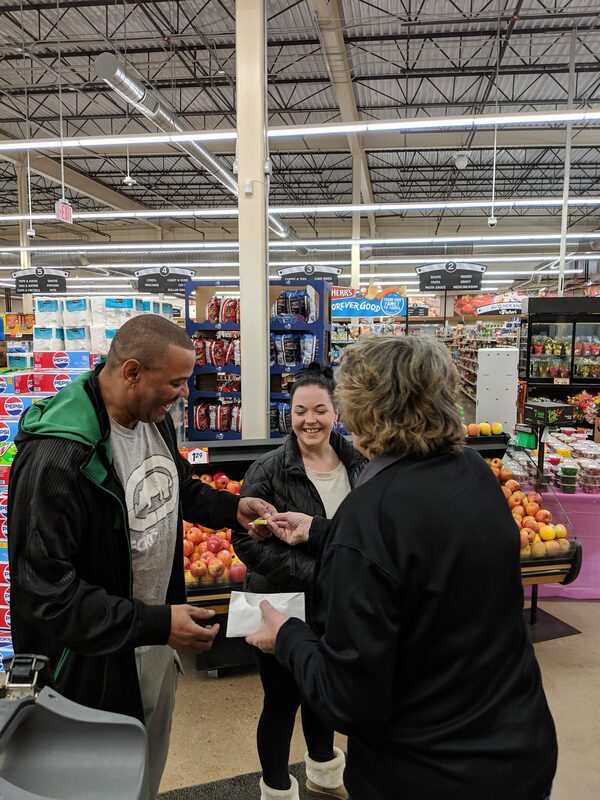 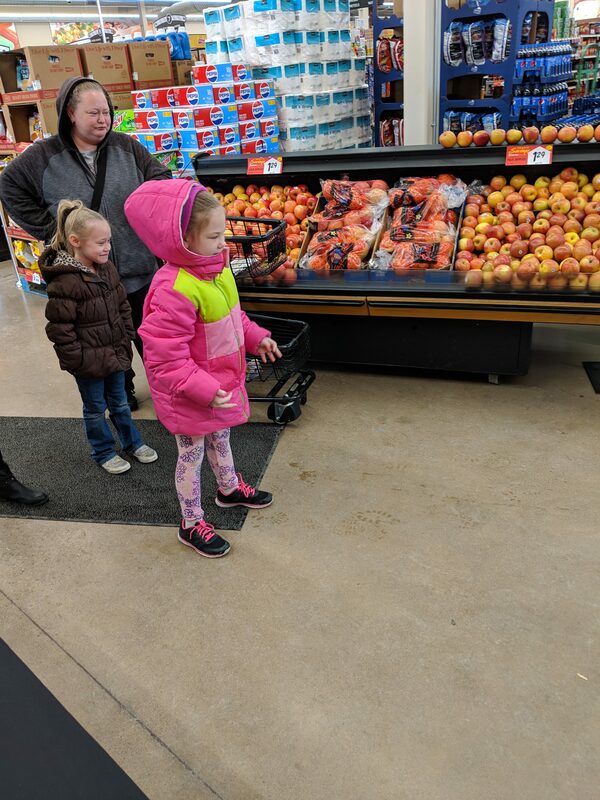 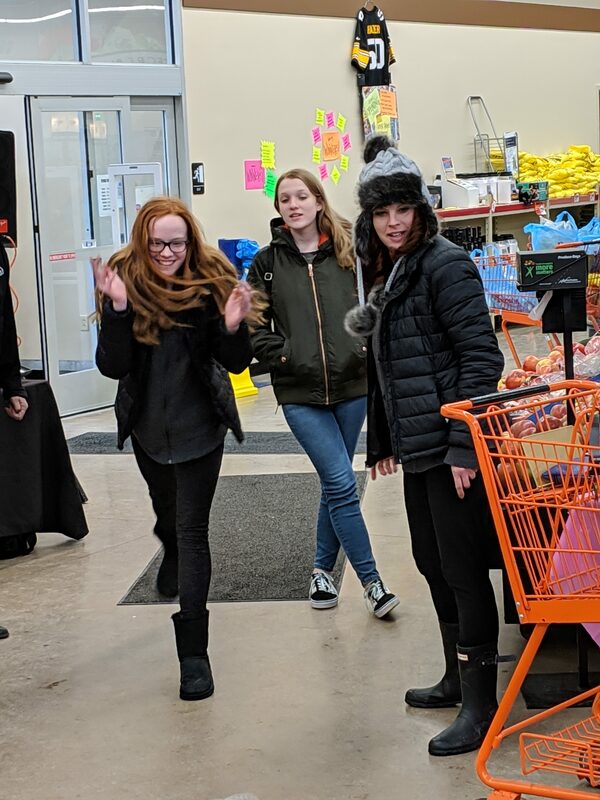 (New Brighton, PA.) Turkey’s were flying in the produce department of Fischer’s New Brighton Foodland on Saturday January 26, 2019. 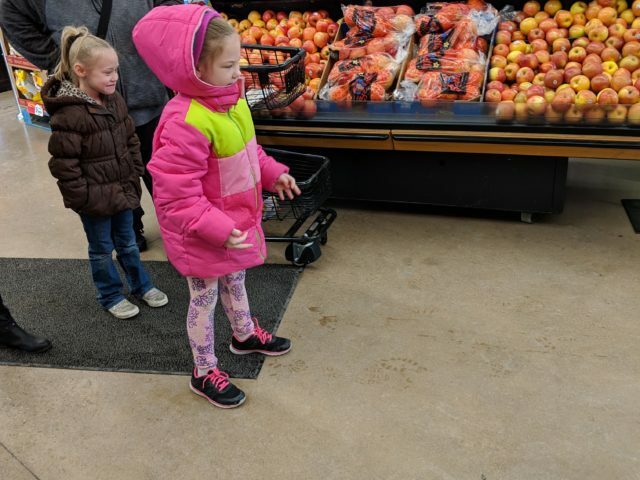 Well kind of. 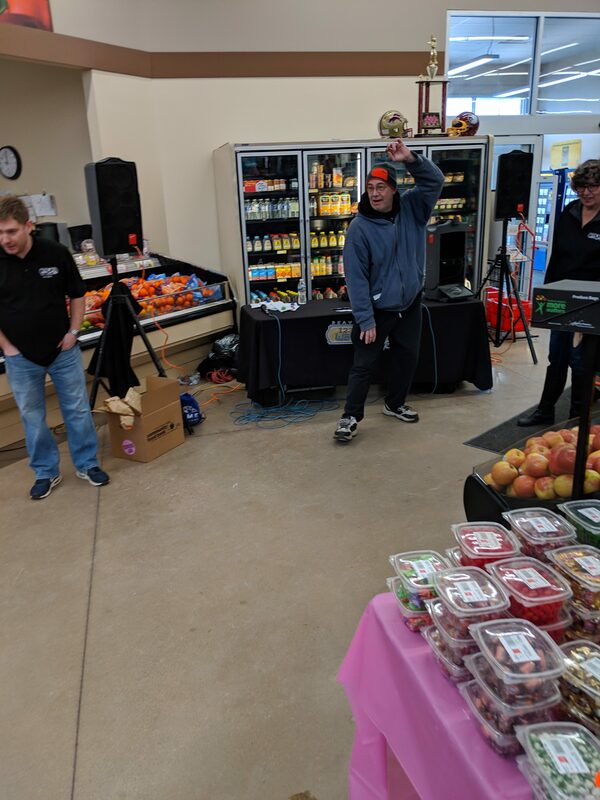 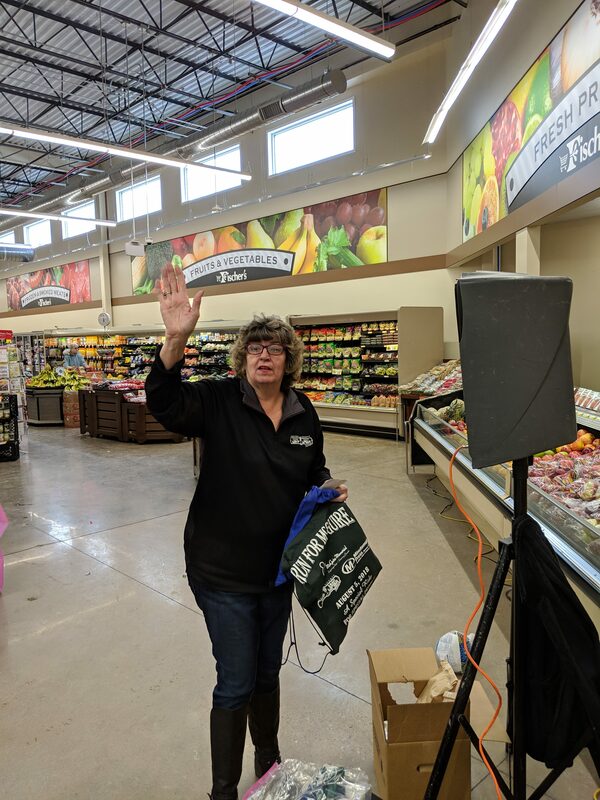 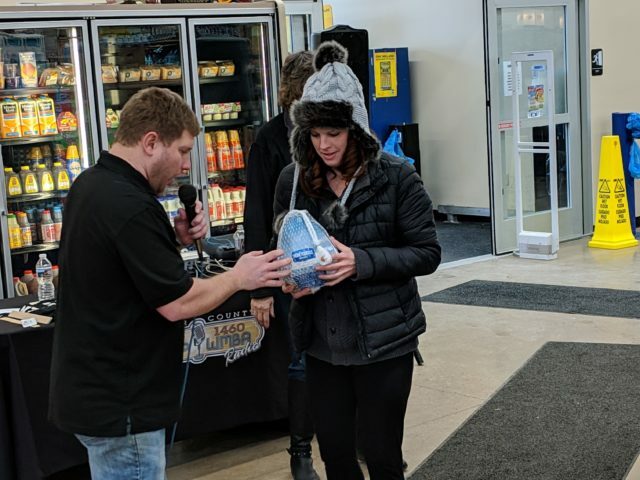 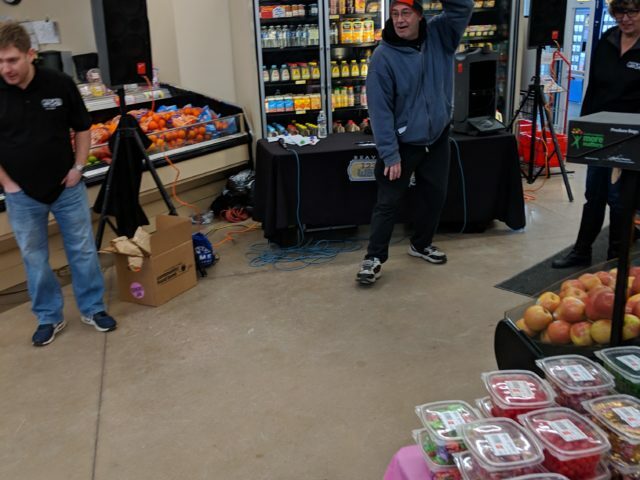 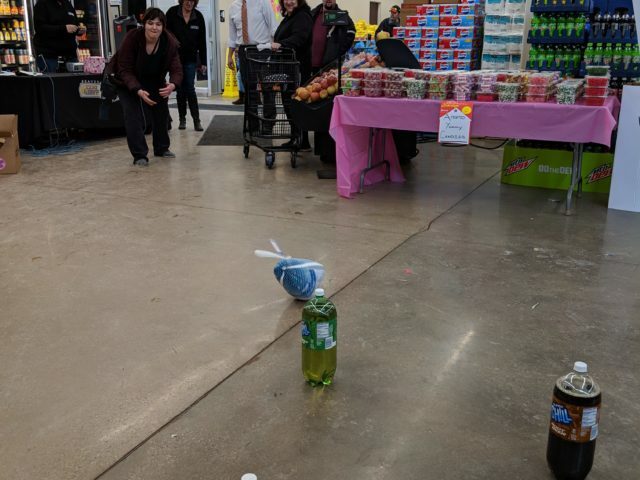 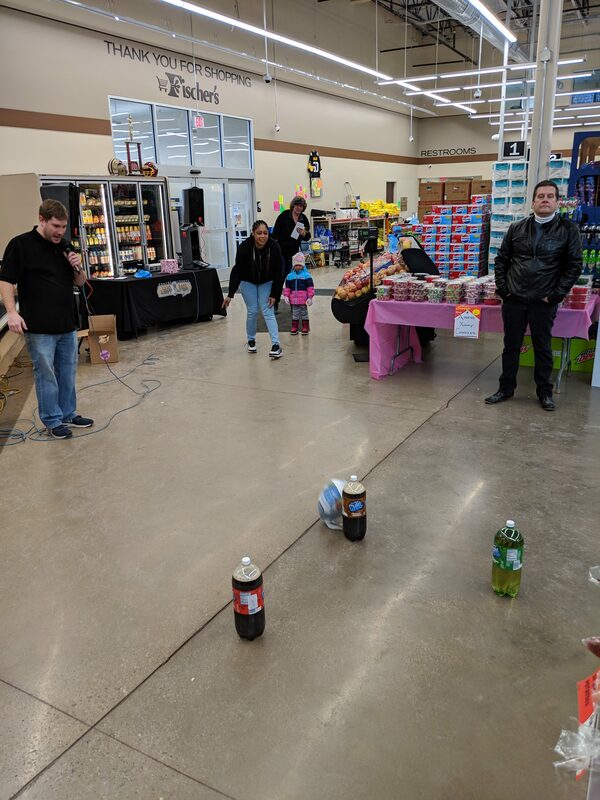 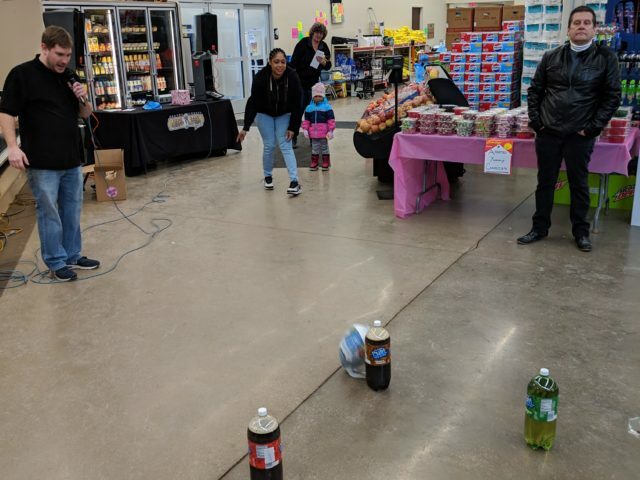 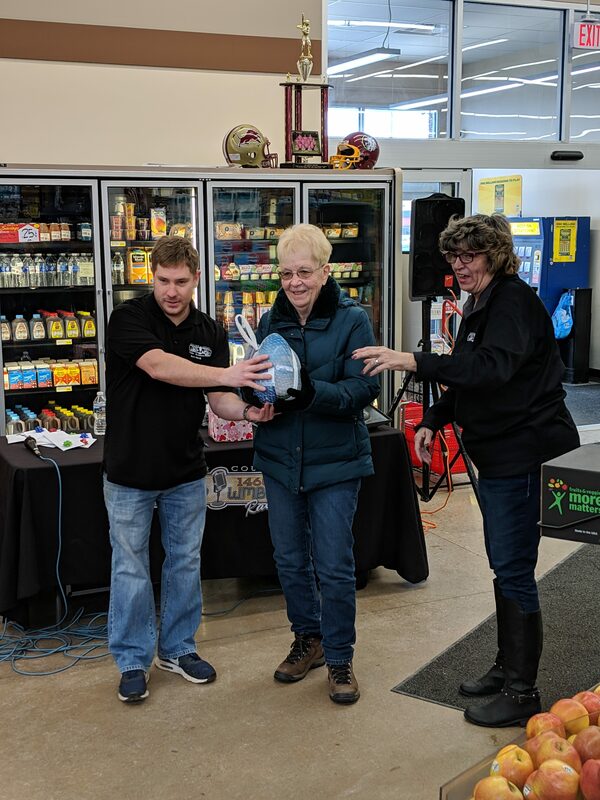 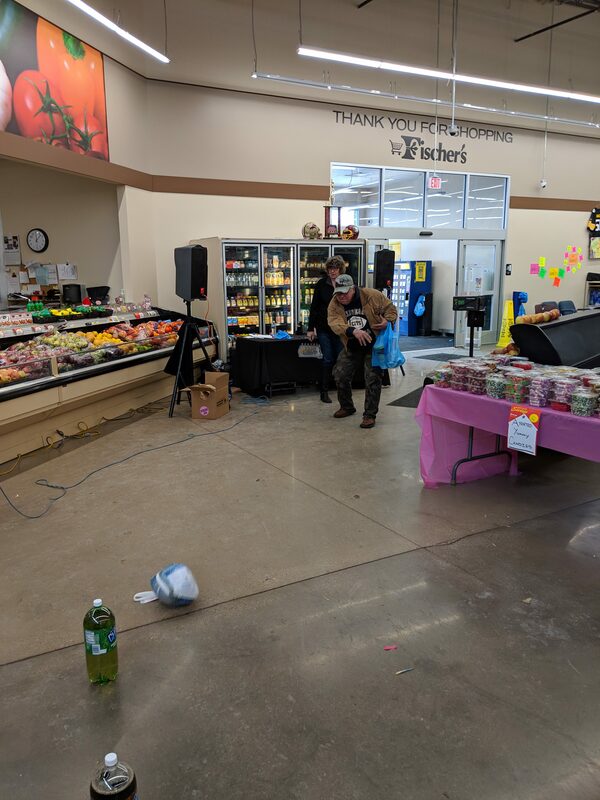 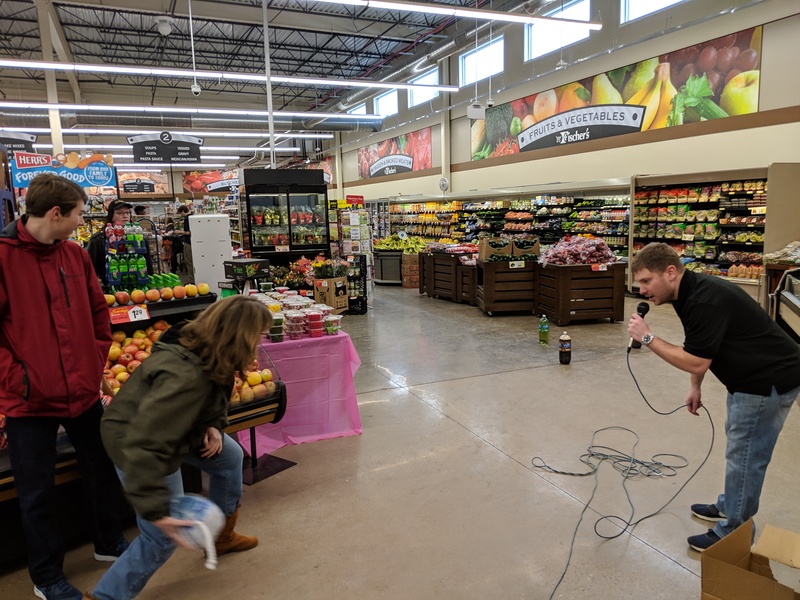 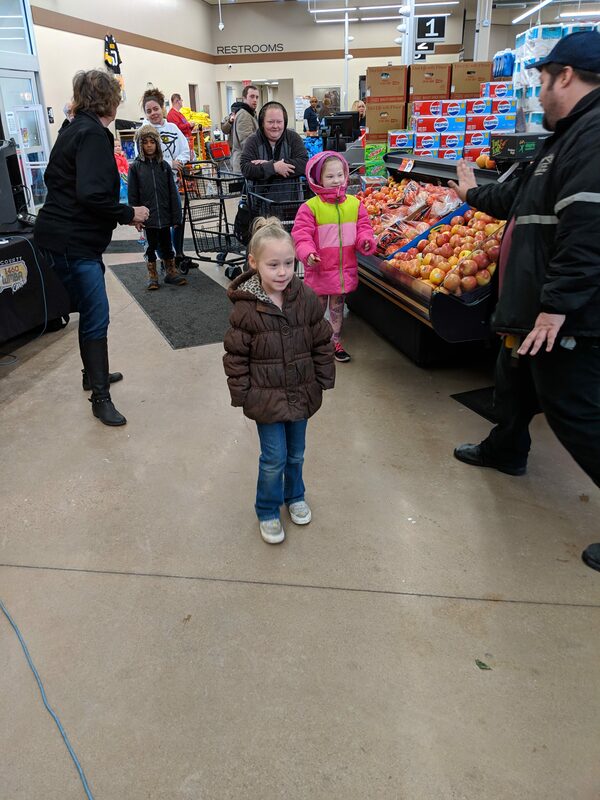 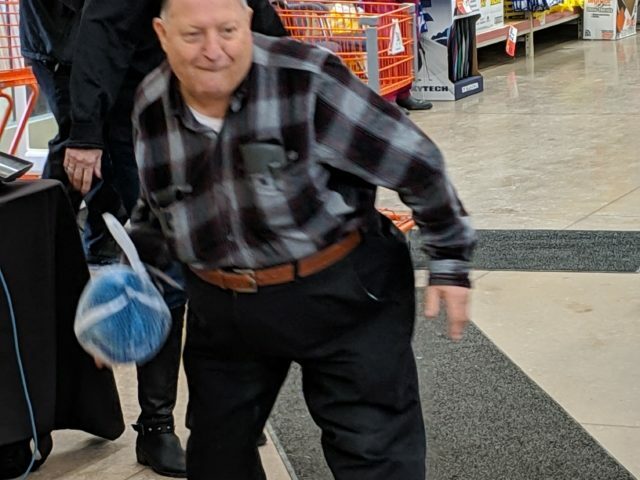 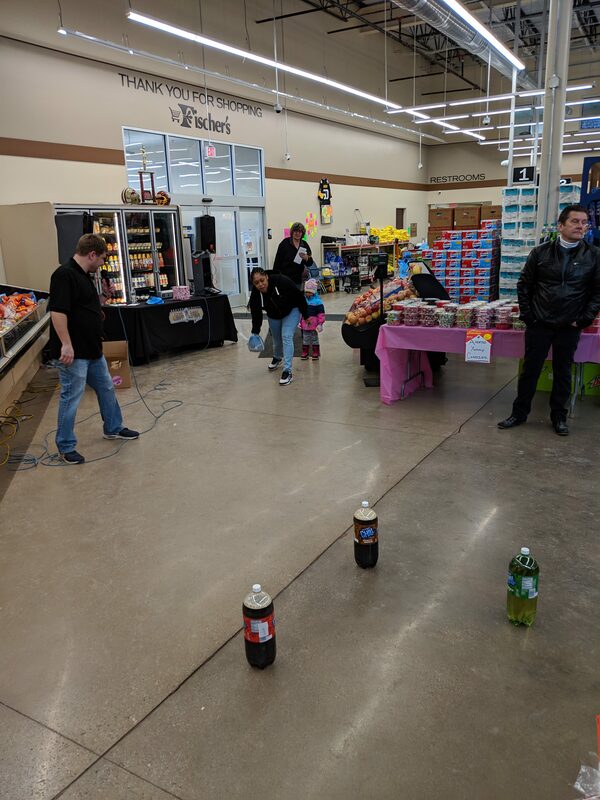 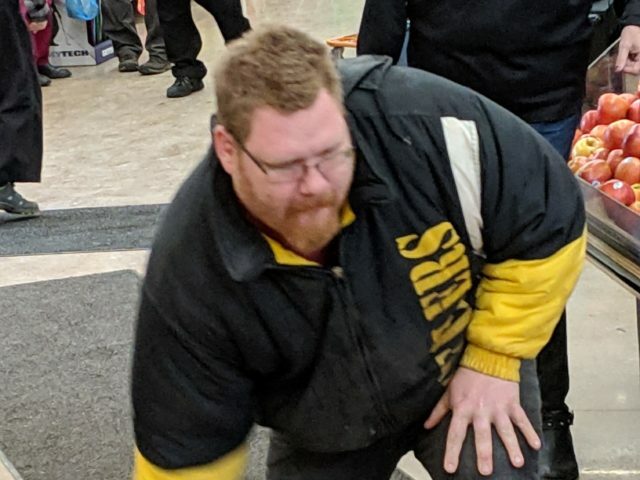 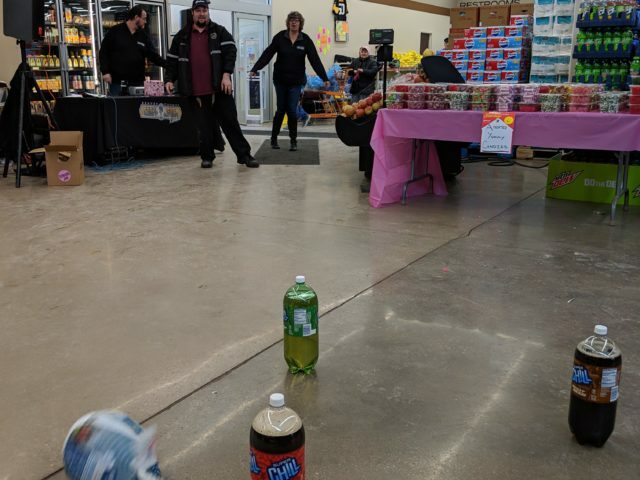 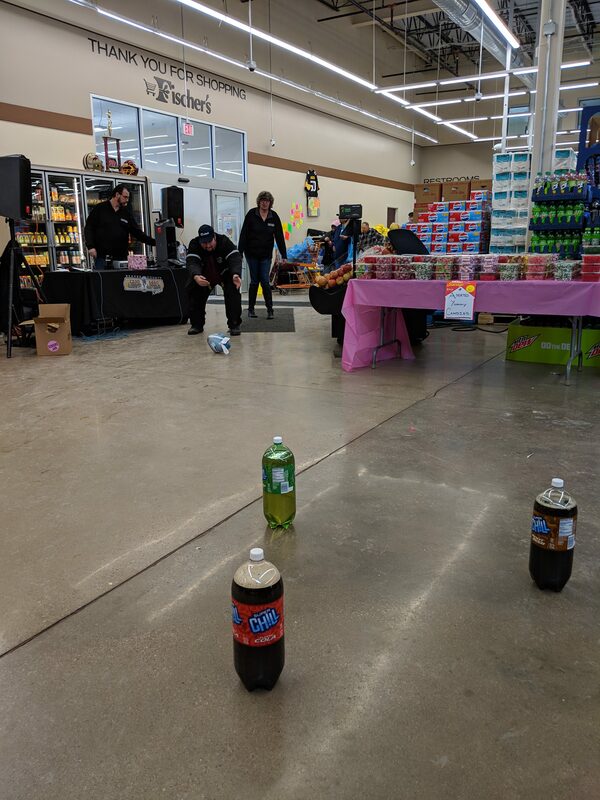 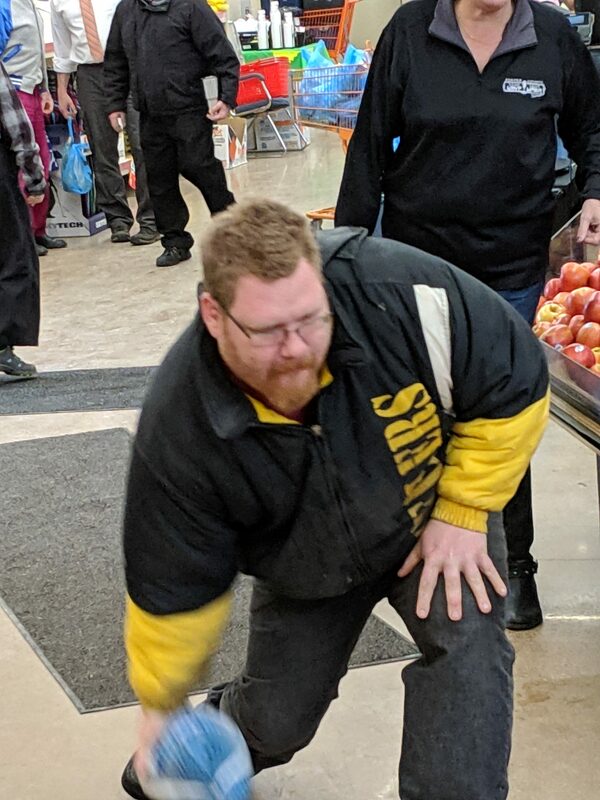 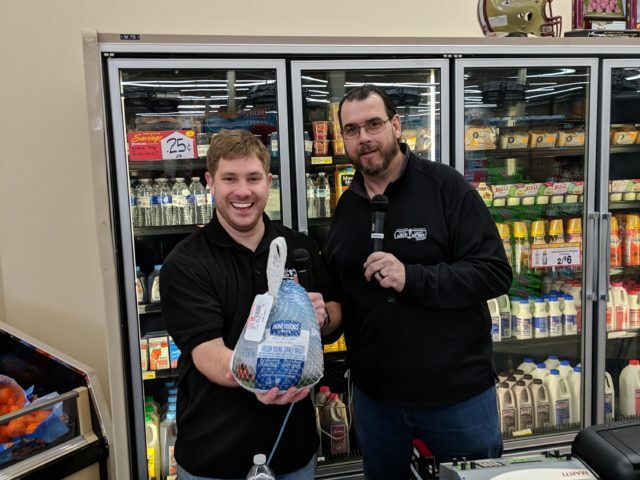 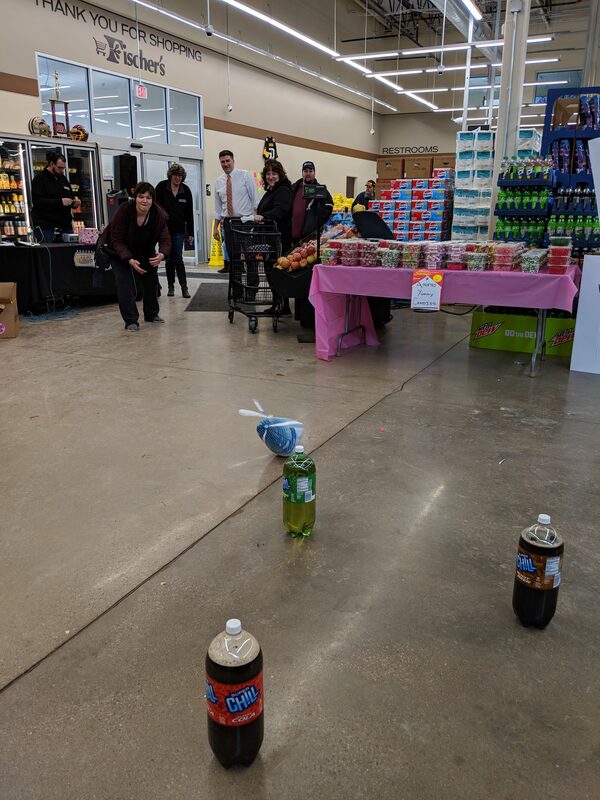 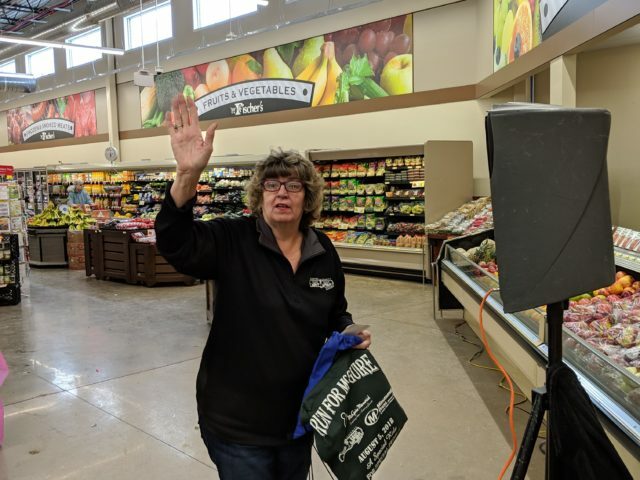 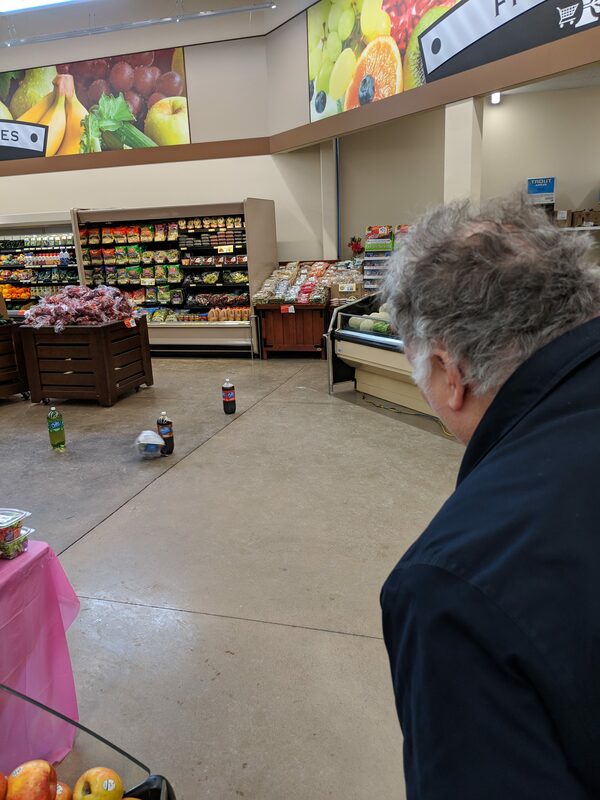 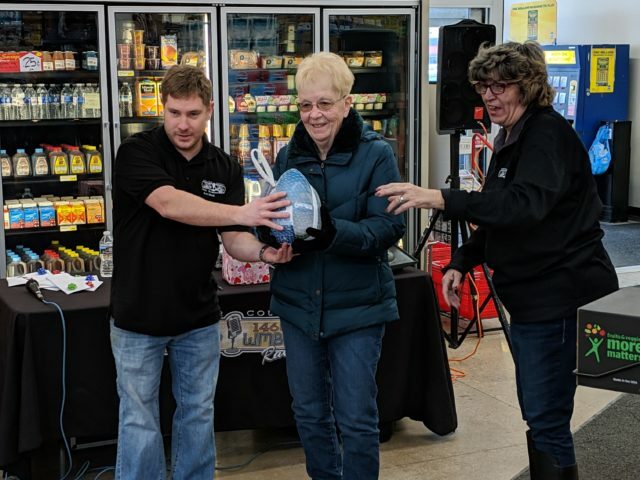 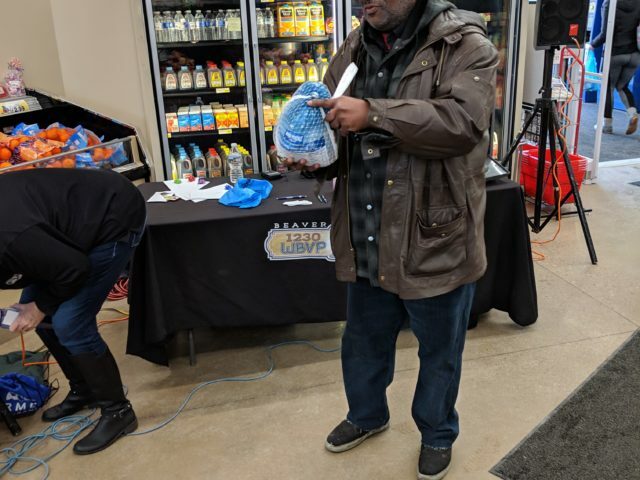 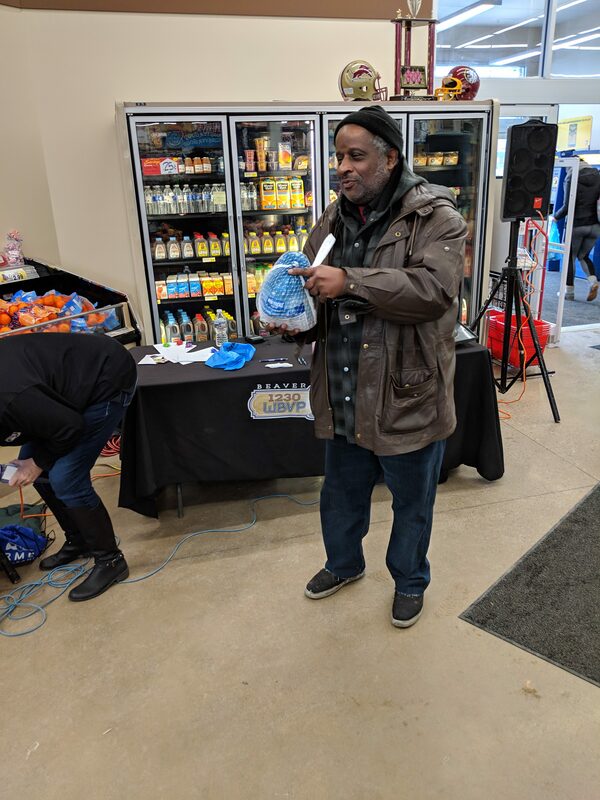 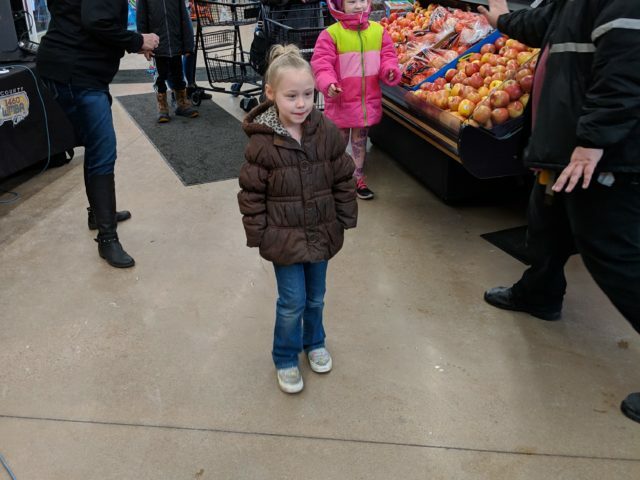 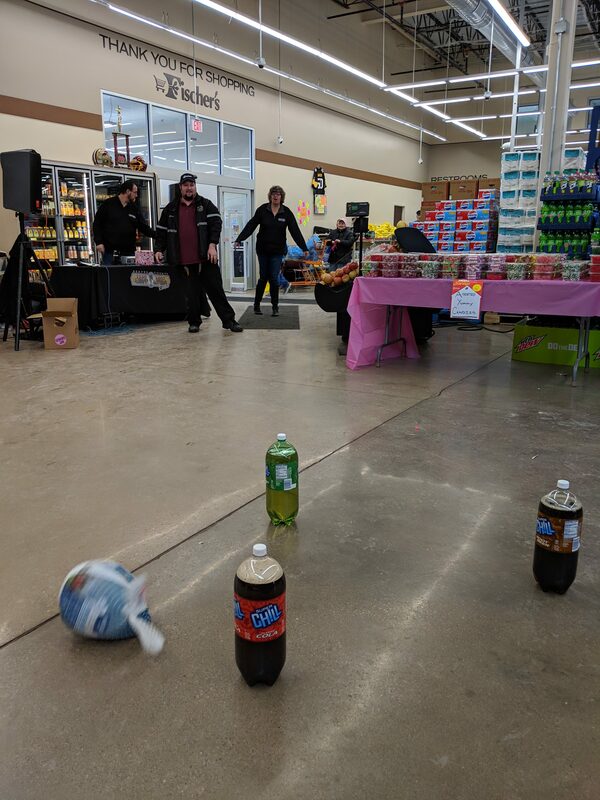 Beaver County Radio was at it again being a trailblazer in fun while helping Mike and Ron Fischer celebrate the Grand Opening of the beautiful Fischer’s New Brighton Foodland located at the corner of 5th Ave. and 9th Street in New Brighton by having a turkey bowling contest. 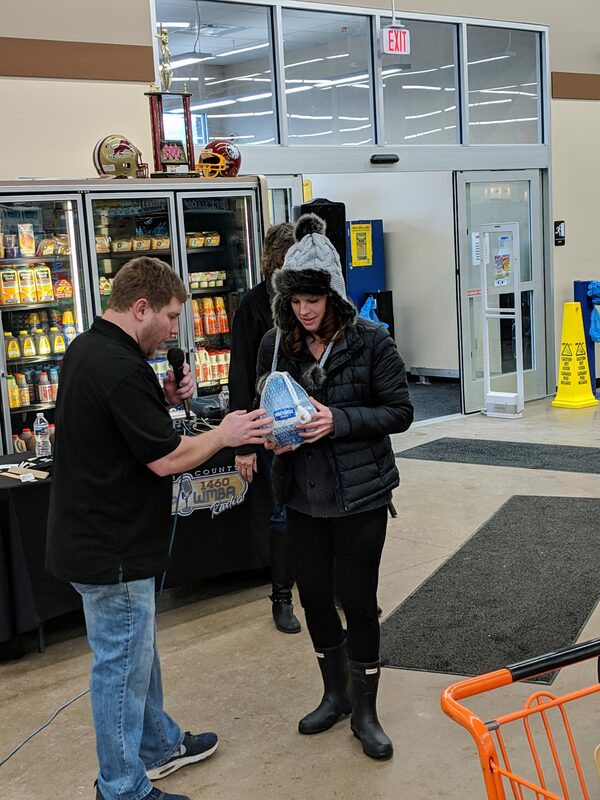 You may ask a real turkey? 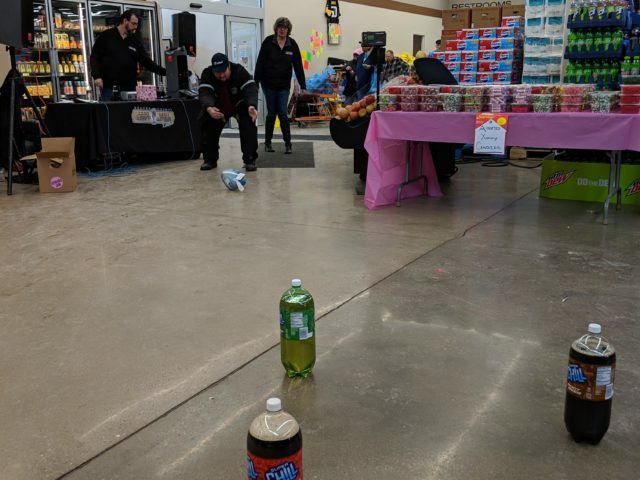 Yes a frozen turkey and all contestants had to do was try and knock over one of 3 plastic bottles of pop. 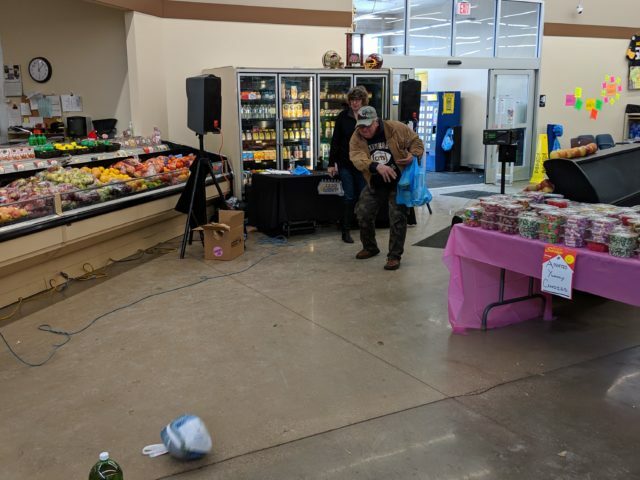 The key was to knock over the right one that had a winner sticker on it to win a great prize that was donated by one of many of New Brighton businesses that helped celebrate the grand opening!!! 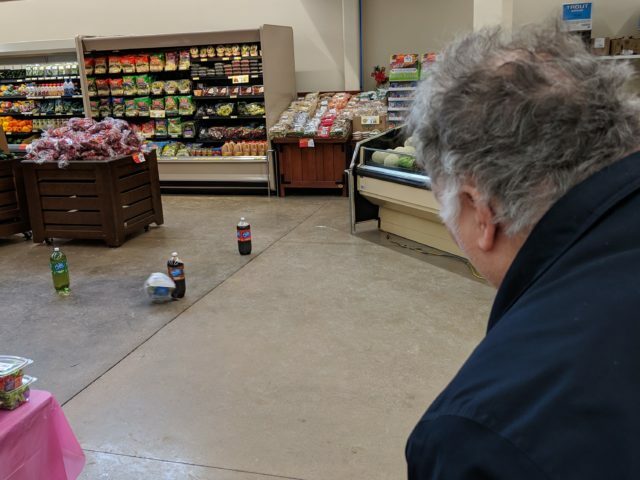 As shoppers came in the door they were surprised when they saw that they really would be bowling a turkey. 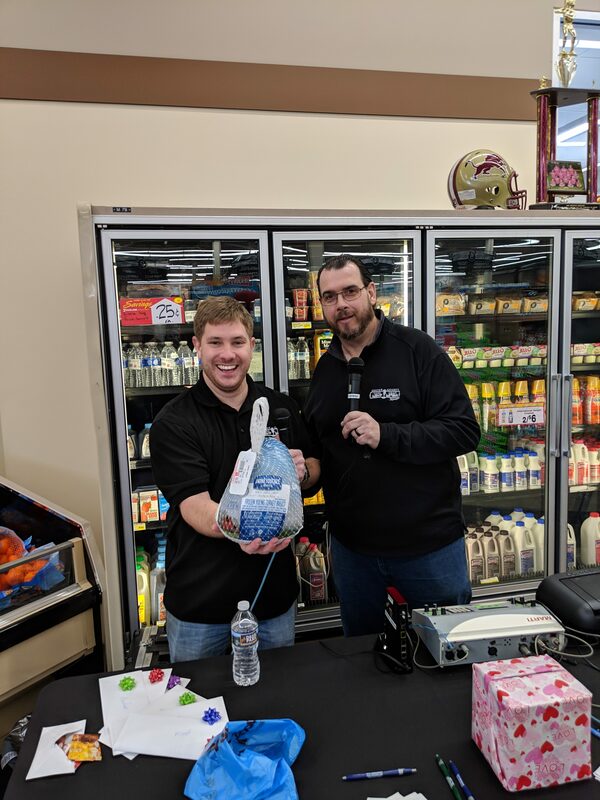 Frank Sparks and Gary Miller did a live broadcast on Beaver County Radio for 12 noon to 2 p.m. as shoppers were bowling and winning prizes. 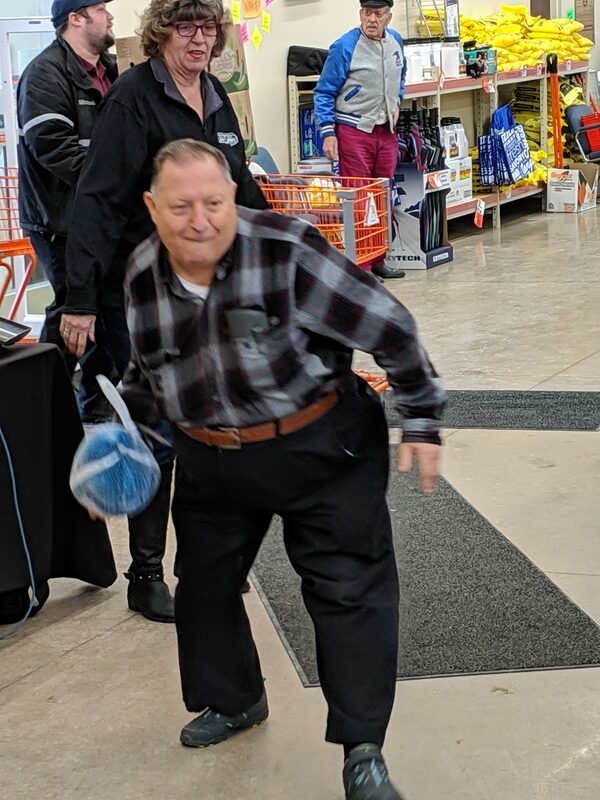 Even Beaver County Radio’s super fan Tom Lesnick showed up for the fun. 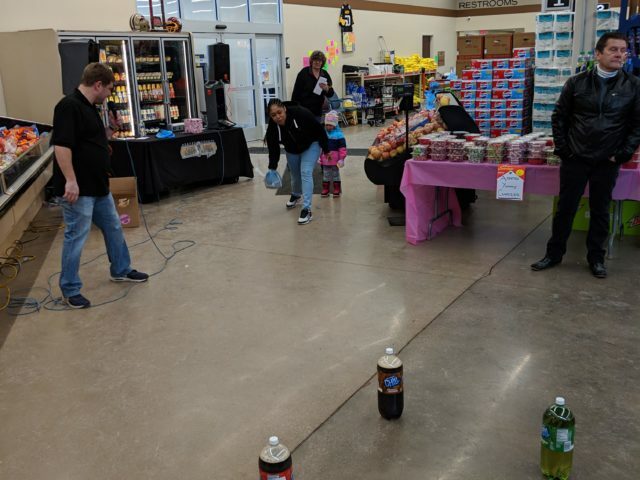 Check out all of the pictures of the fun.